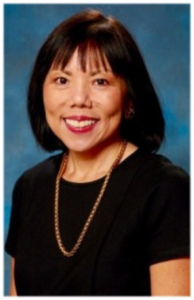 Janet Wong graduated with a Master of Professional Accountancy from the College of Business. Wong’s spent 30 successful career at KPMG, ultimately making Partner, and today serves as an independent director for Enviva Partners, a publicly traded energy company. Her educational background at the College of Business helped pave the way to her career success. Read on to learn how. Where are you currently working? What is your title? Currently, I serve as an independent director for Enviva Partners, a publicly traded energy company. My title is Board Director and Audit Committee Chairman. What are your job responsibilities/duties? My role as a Board Director and Audit Committee Chairman is to represent the shareholders so I have an important fiduciary duty. In addition, I have a broader role to help promote the success of the company to benefit the stakeholders as a whole. In public accounting where I spent over 30 years of my career, I don’t think I ever had a typical day and that has carried over to my public company Board work. I have more flexibility with my public company Board work so I dedicate more time to volunteer roles where I serve as Chairman of the College of Business Advisory Board and a member of the Foundation Board at Louisiana Tech. I also volunteer at the national level on the Audit Committee and Budget Review Committee for the American Heart Association and serve as an Executive Advisor to Ascend, a non-profit business organization for Pan-Asian leaders, where I serve as a volunteer instructor, co-developer of a women’s leadership program, and a global thought leader. I enjoy being valued for the contributions and insights I make to the Board and company management and looking out for the shareholder. My job also enables me to use my many years of business, financial and international experience gained from being a partner at KPMG. What is the most difficult aspect of the job? One of the most difficult aspects is asking the tough questions to make sure that I am doing my job. Since I am not an employee, I don’t have day-to-day interactions with the company so I often must look at the big picture and know where to ask questions. What on-campus activities were you involved with? Where did you gain relevant experience? I was a member of Union Board, Delta Sigma Pi and Beta Alpha Psi. Union Board was a lot of work, but it was also fun especially bringing contemporary artists to the Tech campus to perform for the students. It was also prescient since I recently completed a six-year stint on The Cynthia Woods Mitchell Pavilion Board which is one of the most successful contemporary performing arts centers in the world and it is a non-profit organization. With Beta Alpha Psi, it gave me an opportunity to practice leadership skills as I served as President during my last year at Tech. How did your experience at Tech and the College of Business prepare you for your professional life? For this specific position? I graduated from Tech with a Master of Professional Accountancy degree. My education at Tech enabled me to pass the CPA shortly after I graduated. I spent over 30 years of my professional career in public accounting as a CPA and was one of the few women and Asian-Americans to make partner at KPMG at the time. At KPMG, I was fortunate to work with some of the largest global Fortune 500 companies as well as technology start-ups that become successful public companies. With my public accounting experience, I am a financial expert as defined by the SEC which is necessary to sit or chair an audit committee for a publicly traded company. What advice do you have for students interested in this field? I think an accounting degree is an excellent credential for a Tech student to consider. An accounting degree can provide many career opportunities and open doors for life and not just in public accounting, but industry, government, non-profit, etc. What is one thing that you know now that you wish you had known when you started in the field? When you graduated from the College? In the accounting field, you must be technical and know your stuff. My lesson learned is that in addition to being technical and working hard, you must take the time to build relationships so you have a strong network and connections to help you get things done. When I teach leadership programs for Ascend, I point out the importance of building and maintaining relationships and starting early in your career.